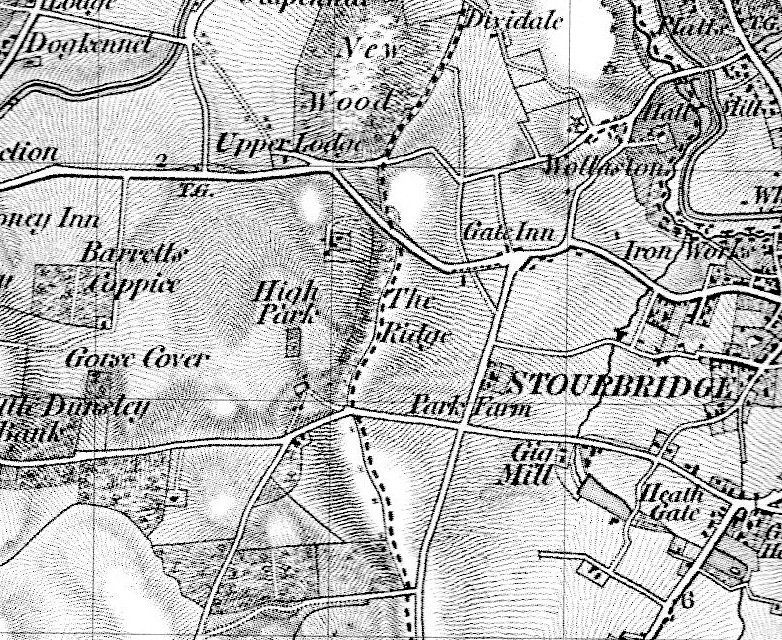 This map, dating from the 1830s, shows the main roads including the turnpike road from Stourbridge to Bridgnorth. The Act which was for the making and maintaining the road was given Royal Assent on 11th April 1816. The main road through the village still follows the same route and the Gate Inn at the junction of what is now High Park Avenue was where payment would have been made to use the road. The public house at the junction is still called The Gate Hangs Well. What is now called Vicarage Road, renamed in the 1860s, has the symbol denoting the windmill where the Vicarage now stands. 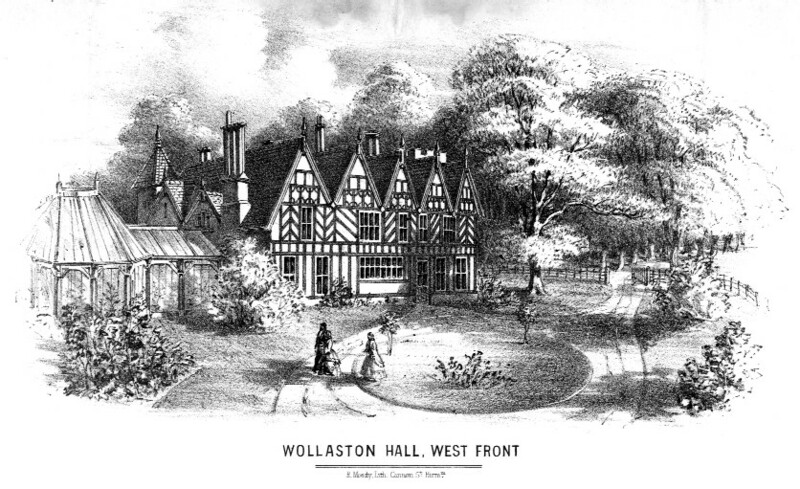 Wollaston Hall is also clearly marked as is the iron works which provided so much employment in Wollaston.